The Claxton Story. . . In 1910, the townspeople of the small South Georgia community of Claxton saw a new business open its doors. The tempting aroma of freshly-baked bread and sweet rolls served as an irresistible invitation to visit the Claxton Bakery. The bakery opened under the ownership of Savino Tos, an Italian pastry-maker, who immigrated to the United States in the early-1900's. Tos initially settled in New York City, working in a Brooklyn hotel as a master baker. During his first few years on American soil, Tos was fascinated with life in the bustling city. It provided a sense of excitement and a steady income, but as time passed, the talented baker longed for a quieter lifestyle. Faced with the opportunity to move from New York, he accepted a job in Macon, Georgia, with a company making ice cream. The young Italian instantly fell in love with the South. He frequently visited Savannah and Tybee Island on Georgia's pristine coast. On one of his trips to Savannah, he passed through the town of Claxton, a developing agricultural community. Tos was attracted by the friendliness of the people and especially liked the fact that the town was without a bakery. When the ice cream operation in Macon fell upon hard times and eventually melted, Tos decided to make Claxton his new home. The Claxton Bakery was an instant success with the townsfolk, who flocked to the small shop for delicious baked goods and homemade ice cream. During the fall, Tos decided to capture the spirit of the holiday season by offering a premium quality fruit cake, filled with nature's finest fruits and nuts. In 1927, a sandy-haired, eleven year-old lad walked through the white-washed doors of the bakery and asked Tos for a job. The youngster offered a wide grin as the owner tossed him an apron and pointed out a list of chores. Within a few days, Savino Tos sensed that Albert Parker would be a valuable employee. Albert hustled to the bakery each morning before daybreak and fired the large oven for the day's baking. He helped prepare the dough and completed other tasks before heading for school. After classes, the youngster took little time in covering the half-dozen blocks back to the bakery, where he grabbed his apron and worked until dark. In 1945, Savino Tos decided to retire from the bakery and devote his time to other business interests. Having fostered a trusting relationship with young Albert Parker through the years, Tos sold the Claxton Bakery to his long-time employee. After Albert Parker's acquisition of the bakery, he began to search for other means of growth. 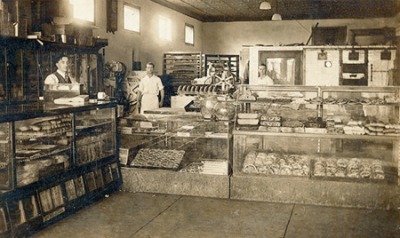 During the mid-1940's, in the era following World War II, Parker recognized that many traditional bakery items were suddenly being marketed in businesses other than bakeries. Racks filled with fresh loaves of bread appeared in grocery stores. Refrigerated cases containing ice cream and soft drinks were beginning to be commonly found in service stations. These revelations led Albert Parker to make a bold decision. His bakery would specialize in high quality fruit cake, a product of unique originality enjoyed by the townspeople during the fall holiday season. In his first year of mass production, Parker and a handful of workers baked forty-five thousand pounds of Claxton Fruit Cake. The new owner worked diligently in his efforts to develop sales and distribution for his cakes. As the number of sales outlets increased, Parker's operations expanded. People from all parts of the country began to talk about "those delicious fruit cakes with the unique horse and buggy label." In the early-1950's, Parker was visited by a representative of the Civitan Club of Tampa, Florida. The civic club was in search of a fund-raising item, and Claxton Fruit Cake seemed to be the perfect choice. As a result of their initial success selling Claxton Fruit Cakes as a fund-raiser, the Tampa Civitans spread the word to their colleagues in other clubs. As each year passed, more and more groups discovered the sales appeal of Albert Parker's famous fruit cakes. Today, the Claxton Bakery, Inc. services the fund-raising needs of groups and organizations throughout North America. 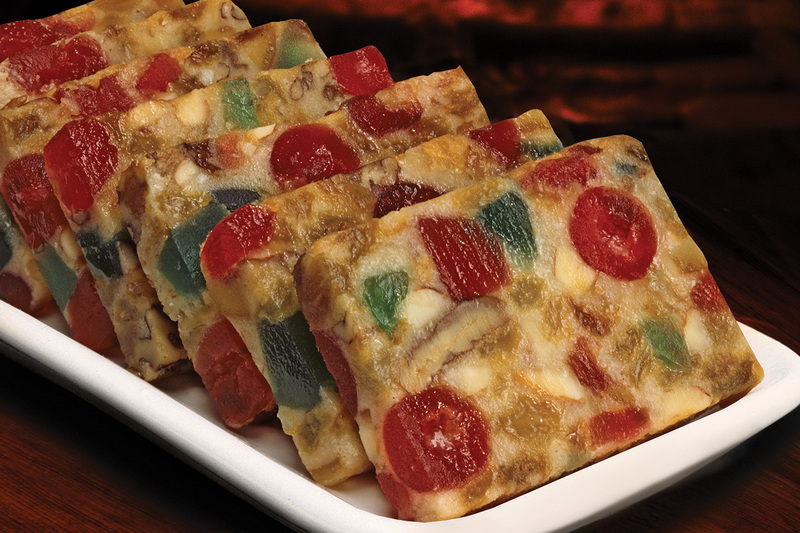 Claxton Fruit Cakes are also available through many national chains during the holiday season. Albert Parker continued his operation of Claxton Bakery, Inc., until his passing on May 21, 1995. 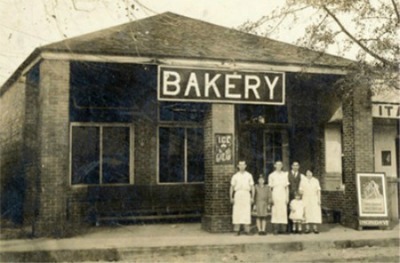 The bakery is presently managed by Parker's three sons, Mid, Paul and Dale, and his daughter, Betty. The company's hallmarks of quality, value and service continue to guide the Parker family's commitment to their customers around the world. 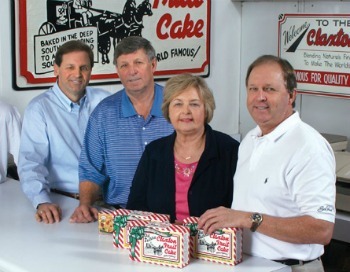 Right Group Photo: (L-R) Dale Parker, Mid Parker, Betty P. Smith, and Paul Parker, owners and operators of Claxton Bakery, Inc.
Middle Group Photo: Our front office staff oversees the daily operations of our company. 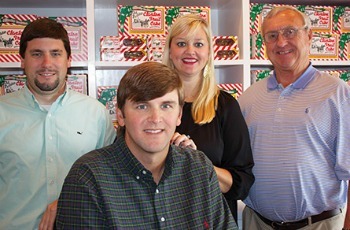 (L-R) Abe Parker, Will Parker (both sons of Dale Parker), Paula P. Claxton (daughter of Paul Parker), and Ralph Bradley, who has been with the company for over fifty years, manages all shipping and transportation services. 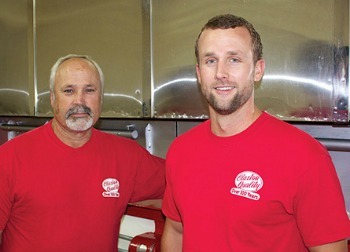 Bottom Group Photo: (L-R) Plant Manager Joe Miller is responsible for manufacturing operations, while Packaging Manager Ellis Durrence insures that all cakes are wrapped and packaged according to the company's strict quality guidelines. 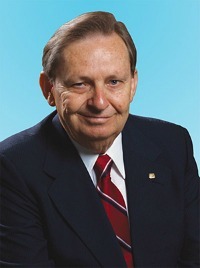 Joe Miller is the son-in-law of Betty P. Smith, while Ellis Durrence is the nephew of Dale Parker. The year-round staff of our company are joined by over one hundred seasonal employees who work from mid-August through December during the busy baking season. In 1964 and 1965, Claxton Fruit Cake gained global exposure with an exhibit at the New York World's Fair where people from all over the world sampled the delicacy. Participation in the World's Fair earned the company many new customers and opened the door for expanded sales opportunities. The Parker family also took advantage of other innovative ways of marketing its unique product, such as sponsoring elaborate floats in the nationally-televised Orange Bowl Jamboree Parades in Miami, Florida, and the Cherry Blossom Festival Parade in Washington, D.C.